L’Espiguette is a large site (2,500 pitches) with many mobile homes and seasonally occupied pitches. It is divided into various sections which are well separated by hard surfaced roads and there are sections specifically designated for touring units. These 250 fairly large pitches are on sandy grass, separated by trees and all have electricity (5A). 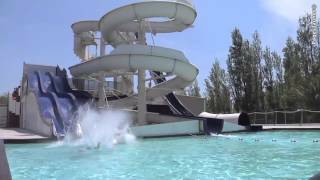 The site’s pool complex – more an aquatic park than a pool – is built in the shape of an ocean steamer and offers a variety slides and other attractions. For older children there is a water-based adventure playground. L’Espiguette offers a very extensive programme of entertainment and excursions. 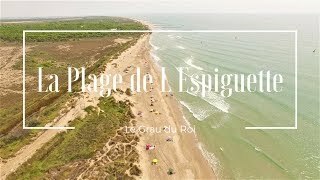 This is a wonderful area for cycling and walking, and even beginners can enjoy guided horse riding to discover the unique scenery of the Camargue. In the summer months there is also a good programme for small children with fully trained staff. The site has direct access to the sandy beach and its own moorings for boats. Twelve toilet blocks are of differing sizes, but evenly spread around the touring pitches. Modern facilities include washbasins, open and in cabins with showers. Maintenance may be variable. Baby baths in the larger blocks and facilities for disabled visitors. Laundry facilities. Range of shops, bar and restaurant with terrace (July/Aug). Snack bar and takeaway (April-Sept). 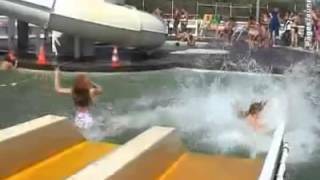 Aquatic park with pools, slides and activities. Trampolines. Play area. Bicycle hire. Boat launching. Very extensive programme of organised entertainment, activities and excursions. From the A9 (Nimes-Montpellier) exit 26, take the N313 towards Vauvert. In Aimargues, turn right (south) on D979 to Aigues-Mortes and, from here, towards Espiguette. Follow signs for ‘Campings’ and L’Espiguette is the last one on the right.